« Need Fantasy Football Predictions? Today’s NY Times says my nephew offers the best! Q. How can I get out of washing my paint roller and brush each time I use them? A. 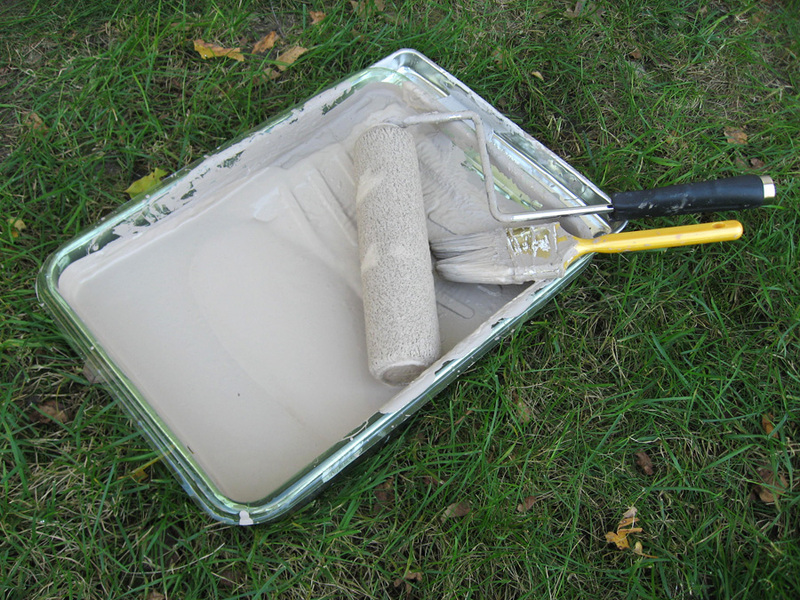 At the end of the painting session, while the paint is still freshly wet on the roller or brush, place the roller (pad and all) or the brush in a plastic bag. A Ziploc-type bag works well, or even a flimsy plastic shopping bag. Then put the bagged item in the freezer. (It also works to wrap the brush in foil and put it in the freezer.) When you are ready for your next painting session, take the roller or brush out of the freezer. Let it thaw. Then, paint away! This advice was offered to us from the owner of Perry (Iowa) Paint & Design. Why we never learned this from a paint store before, or from our own common sense, I don’t know. But, it sure is saving us a lot of time. We have primed and then painted our house with one coat of paint. We have one coat left to go. I like to paint a few hours here and a few hours there. The freezing of the rollers and brushes, and not having to clean them all the time, takes the drudgery out of painting (almost!). This entry was posted on October 5, 2010 at 11:40 pm and is filed under Uncategorized. You can follow any responses to this entry through the RSS 2.0 feed. You can skip to the end and leave a response. Pinging is currently not allowed. Yes Louise, I love this time saving method too. I’m curious as to how long it can be frozen. I have a paint pad in my freezer from this summer. One of these nice days yet, I need to thaw it out and finish that last coat. I’m not sure how long they can be kept frozen. I just spent about five minutes googling (as in, I didn’t work at it very long or diligently). I didn’t see anything about a length of time, but one person said that it works better (when using latex paint, which we are using) to put the pads/brushes in the fridge as opposed to the freezer. The person’s line of thought was that if placed in the freezer, the paint becomes stringy or gloppy and therefore leaves strings or glops on the next painted surface. We haven’t had any problem with that, though. Well, this is interesting…and I’m learning. My experience with painting in the last 35 years is limited to the stair rail at the cottage. Only you could post a picture of painting tools, and make it seem interesting! Clara: And, what a FINE job you did painting that stair rail! Kathy: I’m glad you thought it was interesting. I’m probably the only person who does things like interrupting painting to take a picture of the paint tray. And then writing a blog post about it…thus resulting in still having one coat to go! Great tip! I’ll remember this for the next time a brush is taunting me.